On October 21, Tanque Verde High School ChemClub visited two elementary schools in our school district. 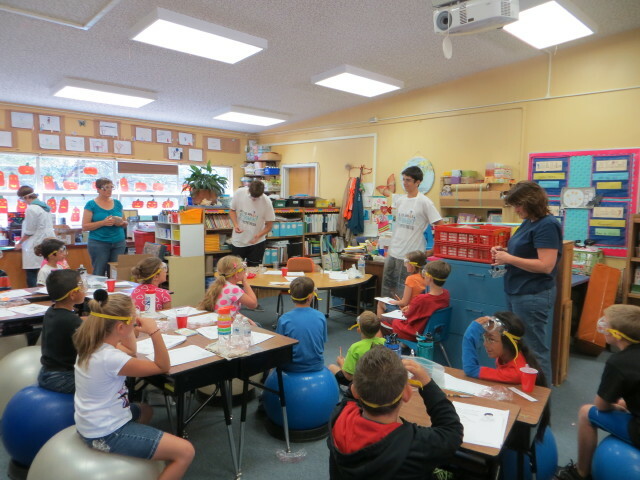 We presented a series of hands-on science activities, related to the chemistry of polymers, to the 3rd graders (approximately 175 students). 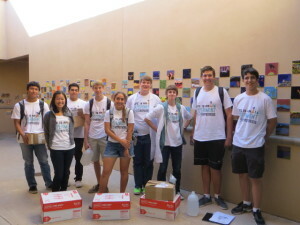 In order to visit both schools in one day, we divided into seven teams of 3-4 people. It took us several days to get ready for the event. We practiced the experiments we were going to perform with the students over the past two weeks, rehearsing what we were going to say, and preparing our materials. Laden with boxes of supplies, goggles for the students, and bottles of distilled water, we have arrived at the elementary schools early Monday morning. Some club members were nervous and apprehensive about the presentations, but once we started, everything went well. After a short set-up and distribution of materials we have launched into the activities. Our activity was based on the ACS kit “Jiggle-jells”. The opening demonstration (an attention grabber) was very well received and got the kids interested in what was to come next. We added a demonstration on making “instant snow” (here in Arizona snow is special!) We also added a graphing component to the part where students made a small, dinosaur-shaped toy that expands in water. 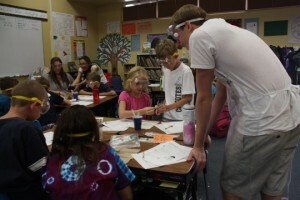 The elementary school students were thrilled by all of the activities and eager to do them. The best part of the event was seeing kids’ faces while we were doing the labs. We saw kids alternately awestruck or grossed out, or just dumbfounded by what they were observing. 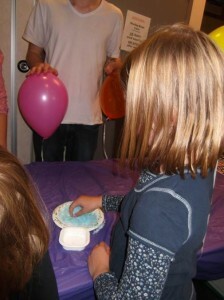 Such as when they made slime and were able to play with it. 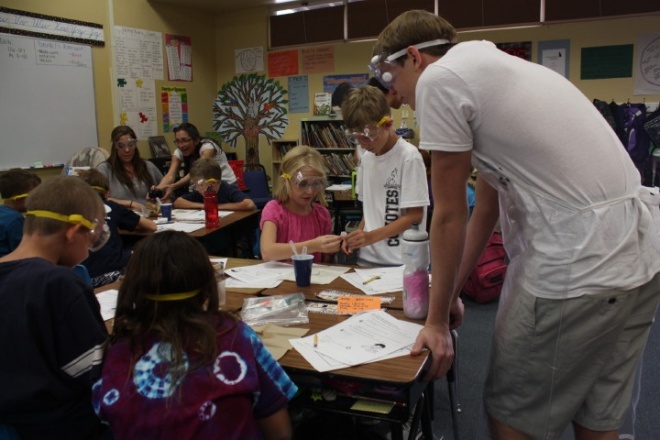 Our ChemClub students found it rewarding to teach the kids and see them responding to the instruction. Knowing that some of the skills these students learned during our session will stay with them in the future was very satisfying. It was great to see that we were role models in the students eyes, and that they looked up to us. What has impressed us? 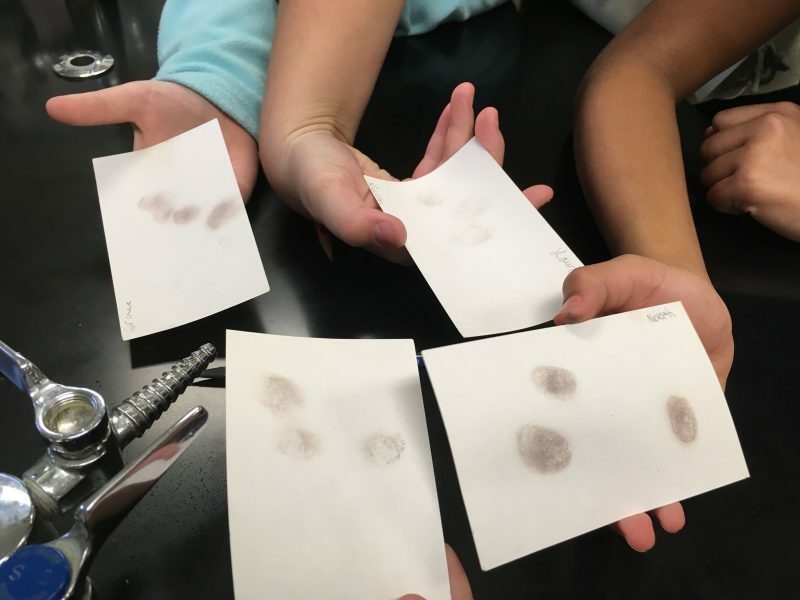 Many kids had amazingly insightful ideas on how these polymers worked. One of the girls gave a detailed description of the dinosaur experiment, showing off her knowledge of the topic. 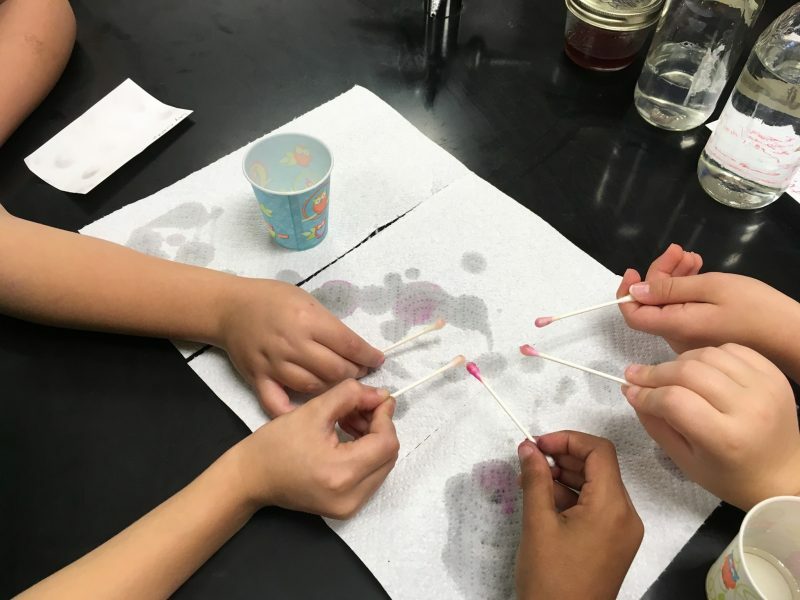 It was also great to see the 3rd grade teachers were just as interested in the experiments as their students, and asked additional questions about the polymers and how the experiments were prepared. 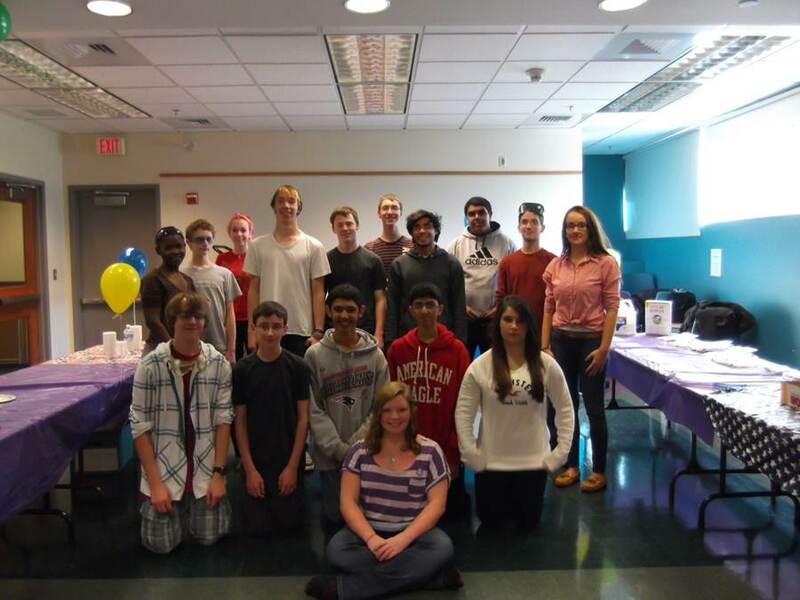 Our club learned how to plan an effective presentation and how to work with small kids. We found it was hard to make sure the students understood the instructions. We found it takes a lot of patience to work with younger students. Although some things could have been explained better, perhaps using different examples, over all, we felt we did a good job. We hope that other high schools get a chance to participate in the event like this one, and we would love to do it again! It was incredibly rewarding experience for all of us. It is one thing to learn, but another thing to teach! 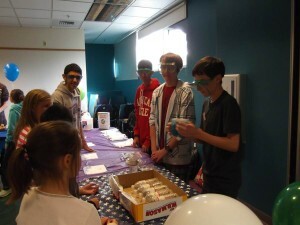 Billerica Memorial High School ChemClub held a National Chemistry Week program at the local library for children. 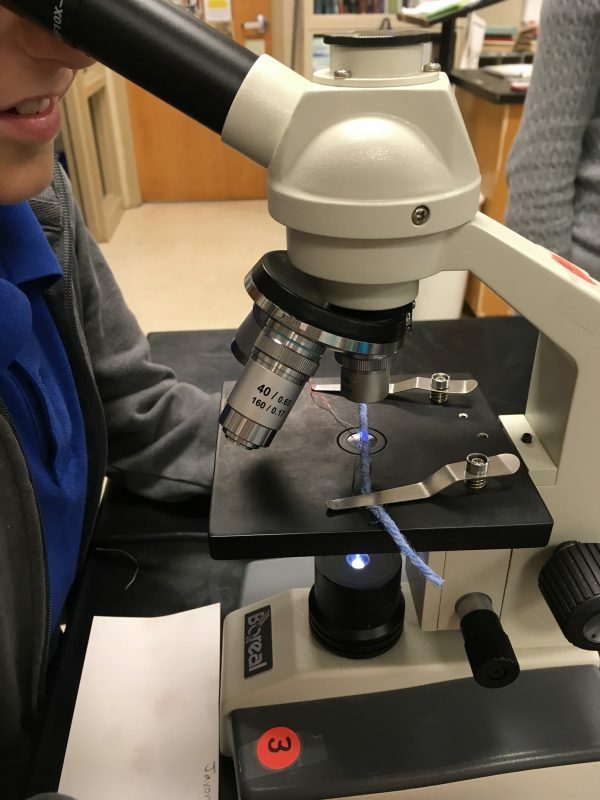 They focused on nanotechnology, with their main demonstration being a nucleation experiment using different size particles of copper and iron. Magic Sand, why doesn’t it get wet? 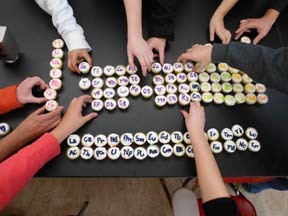 The kids also got a goody bag of treats to take home with them, including a copy of Celebrating Chemistry 2012, magic sand, slime, and NCW temporary tattoos and stickers.